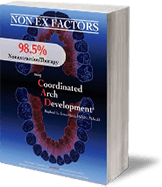 Dr. Greenfield is the author of “Nonextraction Orthodontics, 98.5% Nonextraction Therapy using Coordinated Arch Development®“, a textbook that has been published in four different languages, and is now in its 2nd edition, with over 1,100 pages and 7,000 images. The 2001 Japanese Orthodontic Society Annual session. I am a graduate with honors from Howard University College of Dentistry in 1971. 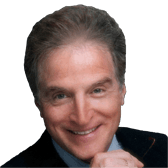 After receiving my Master of Science in Orthodontics from Boston University in 1973, I continued as a Clinical Instructor until 1976. In 1984 I became a Diplomate of the American Board of Orthodontics and was invited to exhibit my board cases at the A.A.O. meeting that same year. How and when did you develop your NON-extraction technique? 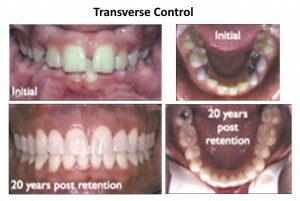 “Coordinated Arch Development®“ is a nonextraction philosophy more than a technique. Its roots were formed in the early 1940’s from the work of my mentor Dr. Norman Cetlin, arguably one of the greatest orthodontic clinicians in the modern era. The Tweed extraction philosophy was very popular at the time and consequently Cetlin’s early efforts were overshadowed. In the 1970’s and 1980’s, long term nonextraction cases were exhibited at the AAO meetings which aroused great interest in the philosophy. 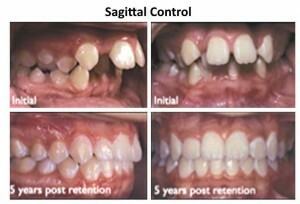 Cases 25 years out of retention were also submitted to the University of Michigan for evaluation of the technique’s long term stability. Achieving long term stability requires controlled upper and lower 1st molar movements, simultaneously, in all three planes. Light continuous forces of similar magnitude are utilized to “coordinate” these movements. The final orientation of the molars creates occlusal forces through the long axes with the absence of deflective contacts during function. The molars are placed well within cancellous bone and the “neutral zone” to enhance their compatibility with the periodontium and soft tissue envelope. The resultant position of the anterior segment provides proper incisal guidance and maximizes facial and dental aesthetics. What has changed in the industry since the book was written? What can you tell us about the book writing process? The writing of the Textbook took approximately 4 years. Without the encouragement of my wife, the project would never have been completed. She typed and proof read the entire manuscript while I compiled long term records on my patients. In fact, my youngest daughter whose a graphic artist, designed the cover – it truly was a family effort. I had 3 contributing editors write 3 chapters in the textbook, and CephX , under the expert direction of Danny Abraham, traced every cephalometric x-ray in the textbook. CephX unbiased data not only made my job easier, but it contributed greatly to the success of the publication. We also included 10 cases from my study club in Japan. I specifically chose Japanese cases since they are considered to be among the most difficult nonextraction cases in the world. It was my way of confirming the versatility of this philosophy no matter how difficult the case. When and where was the book distributed thus far? The textbook has been published in four different languages, and is distributed throughout the world. It is available in hard copy (Amazon), and in digital (Downloadable) format. The information contained in the Textbook is NOT available anywhere else, so Doctors that have purchased the Textbook are very appreciative of its content. I constantly receive hundreds of emails from Doctors around the world thanking me for sharing this information – it has prevented the unnecessary extraction of teeth in thousands of children and adults. 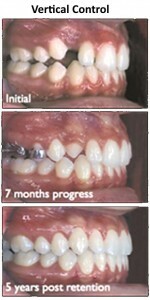 My ultimate goal is to create optimum LONG TERM function and radiant smiles for our patients worldwide. Can you share with us feedback you received about it? The feedback has been extremely positive – beyond my wildest imagination. Doctors have emailed me thousands of photos of their cases treated successfully with the information contained within the textbook. Many Doctors wished they had this knowledge earlier in their career. In fact, my Japanese study club recently won 1st place for their case presentation at the American Association of Orthodontists Annual session. Do you plan to publish a follow up book to extend the technique? The textbook is now in its 2nd edition and still very popular. The Chinese publication has just been released in December, 2015. Instead of publishing a 3rd edition, we have now expanded our FREE WEBSITE, NEXTORTHO.COM to include VIDEOS of all the techniques in the textbook, and 100 nonextraction cases illustrated in vivid detail in our “library of cases.” By making the website FREE, we have made the “Coordinated Arch Development®” nonextraction philosophy accessible to students and clinicians in every country. This will expedite my goal of preventing unnecessary extractions in children worldwide. The value of CephX to me as a clinician, author and researcher is extremely valuable for different reasons. First, it removes all bias from my cephalometric measurements. This is very important in the minds of Doctors who purchase my Textbook. If I traced the X-ray, they may be concerned that the measurements were skewed in my favor. The tracings are performed by a well-trained 3rd party who does it all day long. Thus the quality of the tracings and measurements are consistently excellent. Our diagnoses & treatment plans are certainly enhanced by their quality & consistency. CephX has all the popular cephalometric analyses on their website. Therefore, the Doctor can refer to any of the analyses for a specific measurement to aid his diagnosis – how important is that! In fact, Doctors who purchased my textbook were allowed to contact CephX to gain access to any of my case measurements if they wanted to view their favorite analysis online. Finally, I cannot say enough about the excellent support of CephX I received for the past 15 years. Anytime there was an issue, it was resolved the same day in a courteous and professional manner via email. The Doctor does not have to train a staff member to perform this task, nor train another staff member should the original employee leave the office. This is a real time saver in a busy office. An author or researcher can focus on their research rather than worry about the accuracy of their tracings. Placing this task in the hands of an expert improves the overall quality of the final product. Finally, CephX may not have invented cephalometric tracing, but CephX certainly defines it.